If you have a cat, you also want to avoid lilies (of all varieties) as those are FATAL to kitties (including the pollen and the vase water). If your cat has ingested any part of a lily, bring him/her to the emergency room immediately. 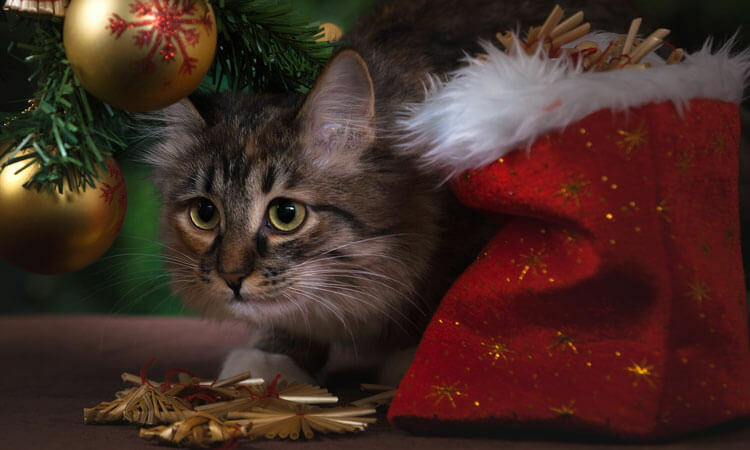 Securing and hiding all cables lessens the risk of any pet not only pulling down your tree, but also accidently electrocuting themselves if they're a chewer. We've all heard it a hundred times, but it's very important to remember. Chocolate, particularly dark chocolate and unsweetened baking chocolate, contains high levels of caffeine and theobromine. Theobromine is a chemical humans can digest quickly, but dogs cannot. The slower digestion period allows for the chemical to build up and reach toxic levels at a quicker rate. Due to this, chocolate ingestion can be fatal. If you believe your pet has consumed any amount of anything listed above, please contact us. Remember, we're here 24/7 for emergencies! 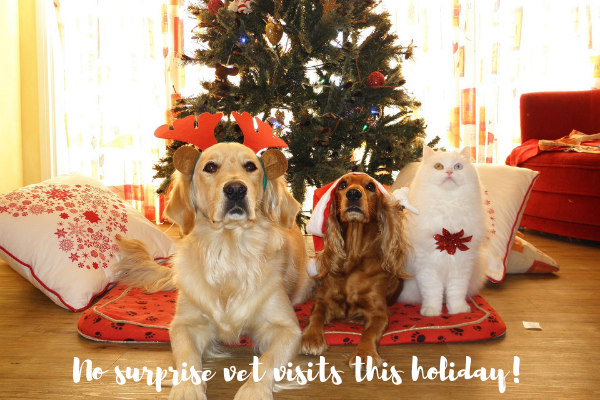 Enjoy the season and make sure everyone—pets included—has a safe and joyous holiday!